Brunswick used a 7-1 scoring surge in the third quarter to pull away from Lawrenceville, as the Bruins posted an 11-4 non-league win on Wednesday at Cosby Field. 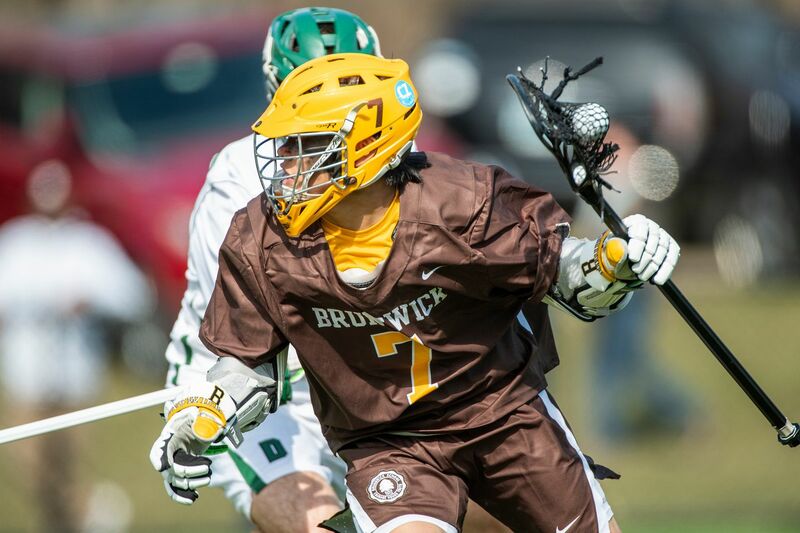 Brunswick, ranked fourth nationally by Under Armour/Inside Lacrosse, improves to 7-0 on the season. Brunswick bested St. Luke’s by six strokes on Monday at Bedford Golf and Tennis Club. The Bruins carded a five-player total score of 203, as St. Luke’s shot 209 on the par-36 course. Racing for the Richard Curtis Trophy against Salisbury, Brunswick’s 1V boat came up short on Saturday. The Bruins did win in 2V, 3V and 4th races against the Knights. Brunswick won the 2019 Hotchkiss Invitational on Saturday, as the Bruins shot a tournament-record, five-score aggregate of 182. The title is the first for the Bruins since 2016 and the sixth Hotchkiss Invitational crown for Brunswick. Brunswick stayed unbeaten in 2019 following a dominating, 7-0 win over Kent on Saturday. Using a youthful line-up comprised of sophomore and freshmen players, the Bruins (6-0) did not drop a set to the host Lions. Brunswick dropped a 5-0 decision to FAA foe Hamden Hall on Friday. The road loss was the first setback this season for the Bruins (4-1,2-1). Brunswick topped King by a 7-0 margin on the Richman Tennis Courts on Friday. The league win boosts the Bruins’ record to 5-0 on the season. Brunswick moved to 6-0 on the season following a 197-214 win over Rye CDS at the Apawamis Club on Thursday. Trailing in early matches to St. Luke’s, Brunswick rallied to win 5-2 on Wednesday on the Richman Tennis Courts. A number of Bruins moved up the ladder in both singles and doubles to pick up the team win for the Bruins (4-0). In a battle of 3-0 teams, Brunswick prevailed over Avon Old Farms by a 3-1 margin on Wednesday. The non-league, home win boosts the Bruins to 4-0. Brunswick built an impressive 12-1 halftime lead over Taft, as the Bruins cruised to a 16-5 conference win on Cosby Field on Wednesday. Brunswick, ranked ninth in the nation, improve to 6-0 overall and 4-0 in NEW1 play. Brunswick broke a sixth inning tie against King with four runs, as the game was called due to rain with the Bruins leading 7-4. The six-inning win boosts Brunswick’s overall record to 3-0 and 2-0 in FAA action. Brunswick moved to 5-0 on the season after beating Portledge on a cold and wet course at Old Westbury Golf and Country Club on Tuesday. Brunswick scored 12 runs in the first two innings against FAA foe St. Luke’s, as the Bruins rolled to a decisive 13-2 road win on Monday in five innings. The league-opening win gives Brunswick a 2-0 overall mark and a 1-0 record in conference play. Brunswick topped King on Monday in a creative, eight-player format at the Bedford Golf and Tennis Club, 10-1. Charlie Marvin and Gabe Mehra were medalists, each carding a 38. Up next, the unbeaten Bruins (4-0) face Portledge on Tuesday, April 9, in Old Westbury, N.Y.
Brunswick defeated host Hill as well as the Gilman School on Saturday at the Brookside Country Club in Pottstown, Pennsylvania. In the 18-hole event, the Bruins posted a five-score aggregate of 395, far ahead of Gilman (433) and Hill (452). Brunswick had a successful day Lake Quinsigamond in Massachusetts on Saturday, as the Bruins won the 1V, 2V and 3V races and retained the Brunswick-Tabor Cup. Brunswick broke an early 1-1 tie against Loomis Chaffee with a seven-goal run en route to an 11-6 conference win on Saturday. The road win boosts the Bruins, ranked ninth nationally, to 5-0 overall and 3-0 in NEW1 conference action, while the setback drops the Pelicans to 5-2 on the season and 0-2 in league play. In the 5-1 season-opening win for Brunswick over Fieldston, Reed Mascolo threw a masterful one-hitter, striking out a career-high 12 batters on Saturday. Brunswick picked up a decisive 187-216 win over Loomis Chaffee in the Bruins’ season-opening contest on Wednesday at the Wintonbury Hills Golf Club in Bloomfield, Conn.
Brunswick rolled past Hopkins on by a 7-0 margin on the Richman Tennis Courts on Thursday. The win boosts the Bruins’ record to 3-0 on the season. In a 3-3 contest against Hotchkiss, Brunswick’s Lorenzo Gunningham posted a memorable, three-set win at #5 singles to beat the Bearcats by a 4-3 margin on the Richman Courts on Wednesday. The victory bumps the Bruins’ record to 2-0 on the season, as Hotchkiss falls to 1-1. Brunswick, ranked ninth in the latest Under Armour/Inside Lacrosse national poll, picked up a 12-1 road win at Kent on Wednesday. The league win boosts the Bruins’ record to 4-0 overall and 2-0 in NEW-1 conference play. A pair of basketball players picked up All-FAA accolades, as Chisom Okpara was a first-team all-league pick and Khari Wilson was an honorable mention selection. The duo helped the Bruins reach the FAA Semifinals this past season. Brunswick picked up a Varsity Eight win at a U.S. National Team Training Center in Mercer Lake in New Jersey. In the inaugural race of the spring season, the Bruins 1V bested both Lawrenceville and the Mountain Lakes Rowing Club over the 1,500-meter course. Brunswick, ranked 11th in the latest Inside Lacrosse/Under Armour national poll, topped #21 Deerfield by an 11-5 margin on Saturday on Cosby Field. The win is the second-straight over a nationally-ranked opponent, as the Bruins knocked off thirteenth-ranked Boys’ Latin on Tuesday, 10-2. Brunswick opened the season with a strong showing against non-league opponent Avon Old Farms on Saturday, rolling past the Winged Beavers on the road, 6-1. John Lin took home individual gold in saber competition at the 2019 Connecticut H.S. 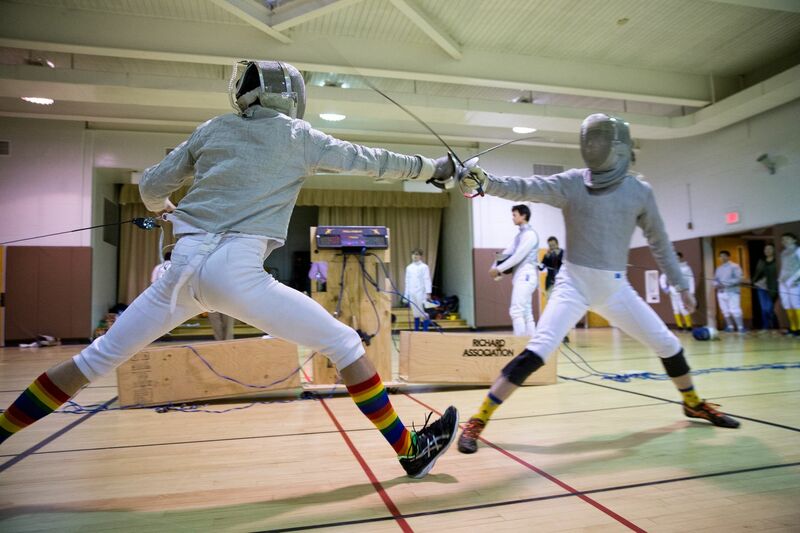 Fencing Association Championships, while the three-member Brunswick saber team finished in third place at the state team tournament, held at Guilford High School earlier this month. 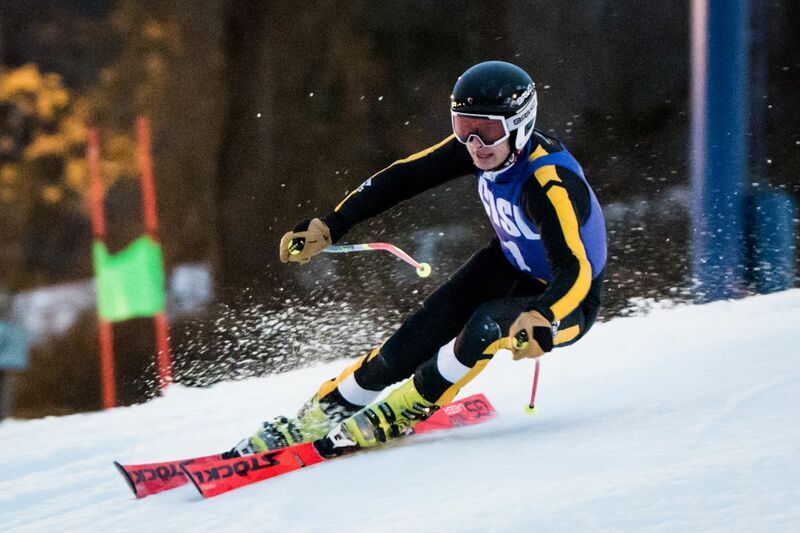 Brunswick skiers Jose Riera and William Kallman were named All-State by the Connecticut Interscholastic Ski League. Both skiers also earn a place on Team Connecticut, an all-star squad that raced in the Eastern Ski Championship against programs from 11 other states earlier this month. In Brunswick’s season-opener, the Bruins rolled past visiting William Penn Charter by a 13-2 margin on Friday on Cosby Field. Eight different players scored goals for Brunswick, as the Bruins built a commanding 12-0 advantage after three quarters. Following the program’s eighth-straight NEPSAC Class A team title, five members of the squash team were named All-NEPSAC by the league coaches. Three juniors, Nick Spizzirri, Dana Santry, and Brian Leonard were tabbed as first-team selections, while sophomores Mac Aube and Pierce Henderson earned honorable mention nods. Jose Riera raced to the individual title at the 2019 CISL State Open Championship on Tuesday at Mount Southington. Riera, a winner of two regular-season CISL races earlier this year, posted the fastest times in each of the two runs to take home the first-place trophy by a comfortable margin. 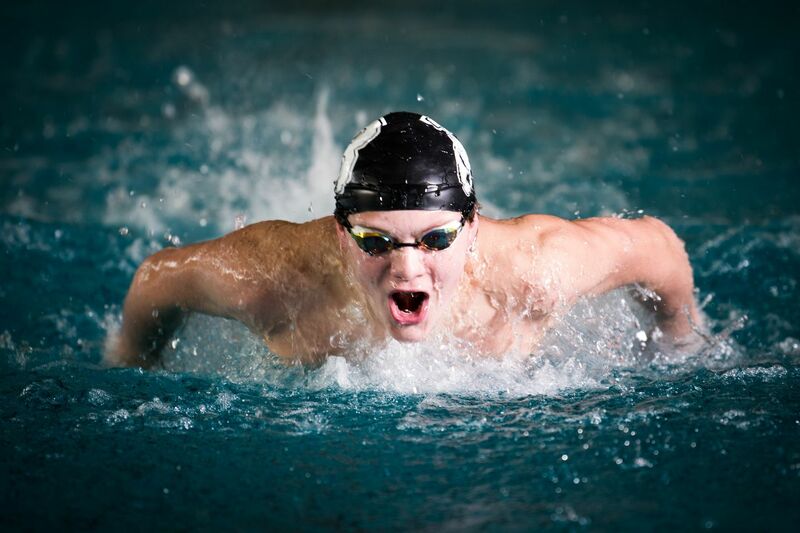 The Fairchester Athletic Association (FAA) recently announced 12 Brunswick swimmers as all-league performers. The Bruins, unbeaten during the regular season, won their second-straight FAA team title back on February 23. Brunswick posted a program-best, second place finish at the 2019 NEPSAC Division I Swimming and Diving Championships, held at Deerfield over the weekend. The Bruins, in just their seventh season as a varsity sport, topped eight other well-established programs, as Andover won the title for the fourth-straight year. Brunswick wrapped up the season with a 19-8 setback at Greenwich High School on Tuesday. The shorthanded Bruins won the sabre, but lost both the épée and foil events in their final contest of the season. Brunswick’s Cooper Moore earned a place on the 2019 All-NEPSAC West Hockey Team. The defenseman, chosen by league coaches, is the fifth All-NEPSAC selection in the past four seasons for the Bruins. Brunswick secured a spot in the upcoming CISL State Championship, as the Bruins went 3-1 on their final day on the slopes on Mount Southington on Tuesday. William Kallman finished second overall on Tuesday, as the Bruins finished the regular season with a 14-10 record. Brunswick won its eighth-straight NEISA Class A title at Andover on Sunday, as five of seven Bruins won singles titles. Brunswick finished with 113 points out of maximum 119, outdistancing second-place Deerfield by 12 points. Dating back to 1996, Brunswick owns 17 NEISA crowns and 74 individual New England titles. Additionally, the 11-0 Bruins won the Brandes Cup for the best record in New England. Brunswick wrestling coach Tim Ostrye was honored as the National Coach of the Year on Sunday at the 2019 National Prep Wrestling Championships, held at Lehigh University. Brunswick won its second-straight FAA title on Saturday at Hopkins. The Bruins collected 399 team points, outdistancing second-place Hopkins by 102 points. Brunswick wraps up the season at the two-day New England Championships, held at Deerfield starting on Saturday, March 2. 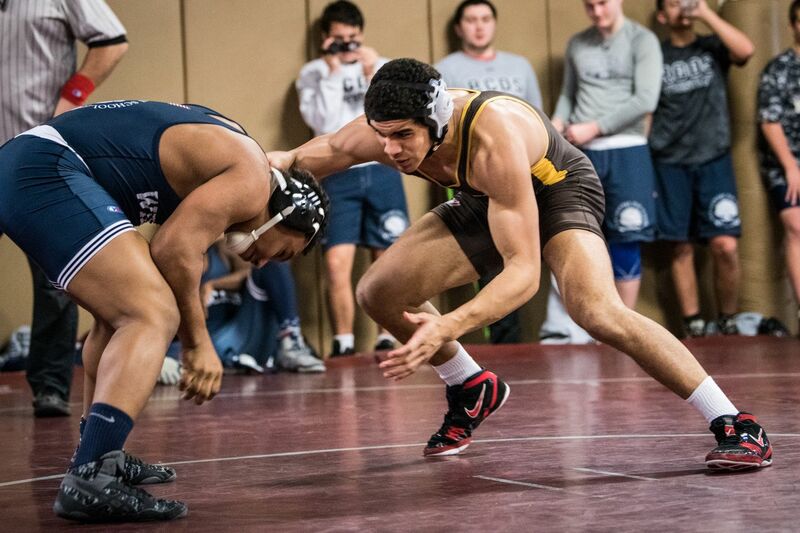 Wrestlers Chris Perry and Luca Errico both earned All-American status at the 2019 National Prep Wrestling Championships, hosted by Lehigh University in Bethlehem, Pa.
Brunswick wrapped up the 2018-19 hockey season with an 8-2 defeat at Trinity-Pawling on Friday night. The Bruins finish with an overall mark of 11-13-4 and 8-12-4 in NEPSIHA action. Brunswick did not qualify for NEPSIHA post-season play this season, halting an impressive string of four-straight appearances. In an FAA Semifinal on Thursday, top-seeded St. Luke’s beat fourth-seeded Brunswick by a 72-63 margin. The playoff road loss caps the season for the Bruins (6-16), while St. Luke’s advances to the FAA Championship on Saturday, February 23. Brunswick’s Sam Mazzullo broke a 50-50 tie against Hopkins in an FAA Quarterfinal with a fast-break lay-up with 1:05 left, as the Bruins held on for a 52-50 playoff win in Dann Gym on Tuesday. The fourth-seeded Bruins (6-15) advance to play top-seeded St. Luke’s on Thursday, February 20, while the Hilltoppers end their season at 7-14. Brunswick set a high-water mark with a fourth-place finish at the 119th Eastern Interscholastic Swimming & Diving Championships at Franklin and Marshall College on Saturday. The program-best finish at the largest prep school aquatic event in the country saw some remarkable results for the Brunswick squad. Brunswick’s Luca Errico won the 138-pound title, as Brunswick finished fifth overall out of 44 teams at the 2019 NEISWA Tournament on Saturday. A total of seven Bruins earned podium results, as head coach Tim Ostrye was named Coach of the Year. Brunswick lost to Gunnery, ranked sixth in New England, on Friday, 6-1. 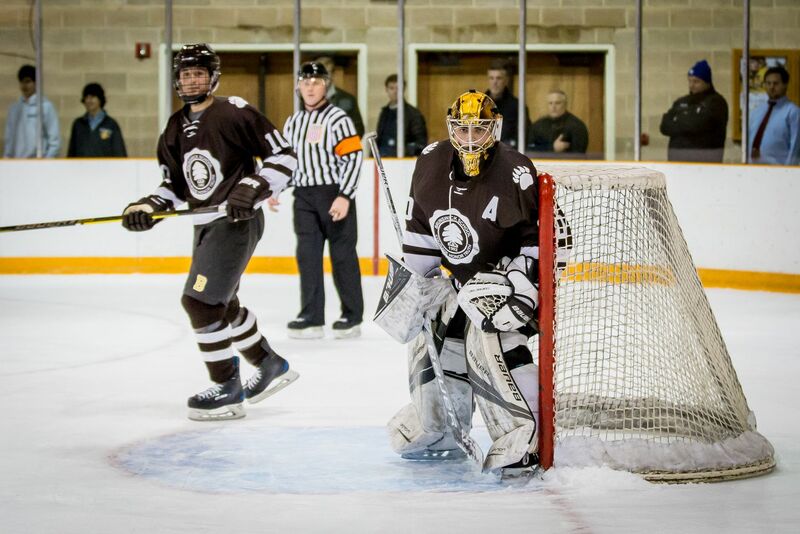 Following the road loss, the Bruins wrap up their regular season at Trinity-Pawling on Friday, February 22. Brunswick wrapped up the regular season with a 57-40 road setback to FAA foe Greens Farms on Thursday. The Bruins (5-15, 4-10) qualified for a quarterfinal game in the upcoming FAA Tournament on Tuesday, February 19. Brunswick battled back from a 3-0 deficit at Albany with a pair of third-period goals, but the Bruins fell to the Cadets by a 5-2 margin on Thursday. Brunswick trimmed visiting FAA foe Masters by a 63-38 win on Senior Day in Dann Gym on Wednesday. The 25-point win was the largest margin of victory for the Bruins since a 64-35 win over Hopkins back on January 6, 2018. Brunswick topped Hotchkiss by a 6-1 margin on Wednesday at the Stephens Squash Center, as the Bruins wrapped up perfect 11-0 regular season. Dating back to the 2015 season, the Bruins own a sparking 64-1 record, with the lone setback coming in the finals of the 2017 national championship. Brunswick dropped a rescheduled, non-league road game to Salisbury on Monday, 82-52. The Bruins overall record stands at 4-14 following the game that was originally set for January 19. Brunswick won the 62nd Annual Western New England Independent School Wrestling Association (WNEISWA) Championship on Saturday at Trinity-Pawling. The team win is the sixth-straight for the Bruins, a tournament record. Brunswick lost to ninth-ranked Gunnery on Friday night in Hartong Rink, 4-3. The Bruins return to action with a home game on Saturday against Berkshire. Brunswick’s Jose Riera picked up his second CISL race win on Wednesday at Mount Southington. The Bruins have won three of four individual titles in CISL action this year, as Riera posted a win back on January 23 and Ian Murray won the first race of the season on January 9. Brunswick held off a late Hopkins rally, beating the Hilltoppers by a 49-46 score on Wednesday in Dann Gym. The victory gives the Bruins (4-12, 3-8) an FAA season split with Hopkins, as the Hilltoppers (6-10, 3-9) picked up a 48-39 win over Brunswick back on January 5. Brunswick’s William Kallman finished third overall at a CISL race on Tuesday, as the Bruins went 3-4 as a team at Mount Southington. Tuesday’s race was a make-up for a scheduled event on January 24. Brunswick won its fourth national title and the Justi Cup on Sunday at Trinity College, as the top-seeded Bruins dispatched second-ranked Haverford in the 2019 HEAD U.S. High School Division I Team Championships by a 6-1 score. 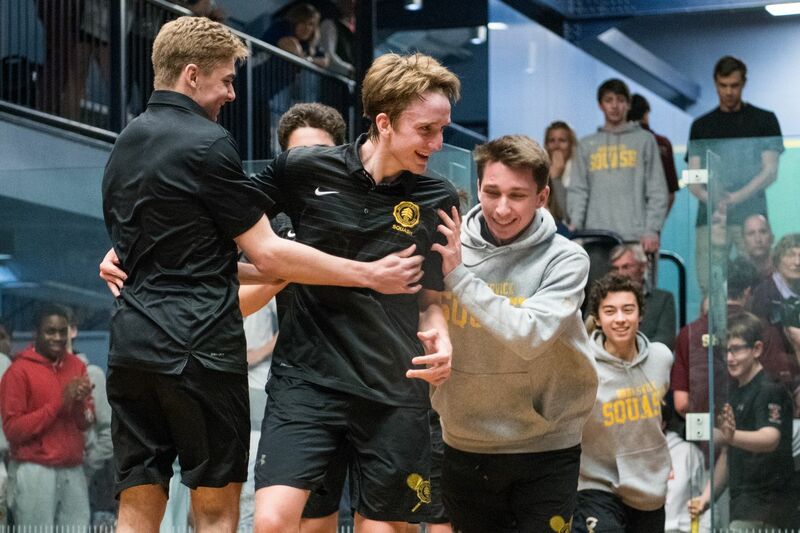 Top-seeded Brunswick ‘A’ swept all three opponents by matching 7-0 scores at the 2019 HEAD U.S. High School Team Championships to reach the finals for an impressive eighth-straight year. The Bruins will face rival #2 Haverford for the Division I Justi Cup, hosted by Trinity College, on Sunday, February 3, at 4:00 p.m.
Brunswick won 10 of 11 swimming events to top Hopkins on Saturday, 91-77. The win boosts the Bruins to 7-0 with one dual meet remaining ahead of a trio of championship races, capped by the NEPSAC Championship in early March. Brunswick stopped a seven-game losing streak with a commanding 64-42 road win against FAA foe King on Friday. The Bruins (3-12, 2-8) return to action with a home against Hopkins on Wednesday, February 6. Brunswick dropped a 2-0 contest to Albany Academy on Friday night in Hartong Rink. The home setback is the just the second loss in Hartong Rink this season for the Bruins. Greens Farms broke open a 23-23 game with a 21-3 run against Brunswick in the first half, as the Dragons held on for a 77-67 win in FAA action in Dann Gym on Thursday. Chisom Okpara led the Bruins (2-12, 1-8) with a career-high 35 points. Brunswick dropped a 14-13 contest at Masters on Monday. The one-point loss evens the Bruins’ at 1-1 on the season. Brunswick won the sabre (6-3) and foil (6-3), but lost in the épée (8-1). Brunswick picked up a 7-0 decision on the road over Taft on Saturday. The win keeps the Bruins unbeaten at 6-0, while the Rhinos fall to 6-2. Five of seven Bruins went 3-0 in their individual contests. Brunswick moved to 6-0 on the season following a 90-62 road win over Suffield on Saturday, 90-62. The victory is the second-straight for the Bruins over the Tigers, a perennial New England powerhouse. Brunswick rolled past all four league foes to win the FAA Championship at Hopkins on Saturday. The title is the 22nd FAA crown in a row for the Bruins and 35th crown in the last 36 years. Six Bruins earned All-FAA honors as the tournament, as the squad posted a 49-7 record with 23 pin-fall victories. Williston Northampton jumped out to a 3-0 lead and cruised to 6-2 win at home over Brunswick on Saturday. The loss snapped a five-game unbeaten streak (4-0-1) by the Bruins. Brunswick returns to action with a home contest against Portledge on Wednesday, January 30. Brunswick fell to FAA foe Hamden Hall by an 83-74 margin on Thursday in Dann Gym. The Bruins (2-11, 1-7) were within two possessions of the Hornets (13-2, 6-1) as late as 3:45 in the game, but could not catch the visitors down the stretch. 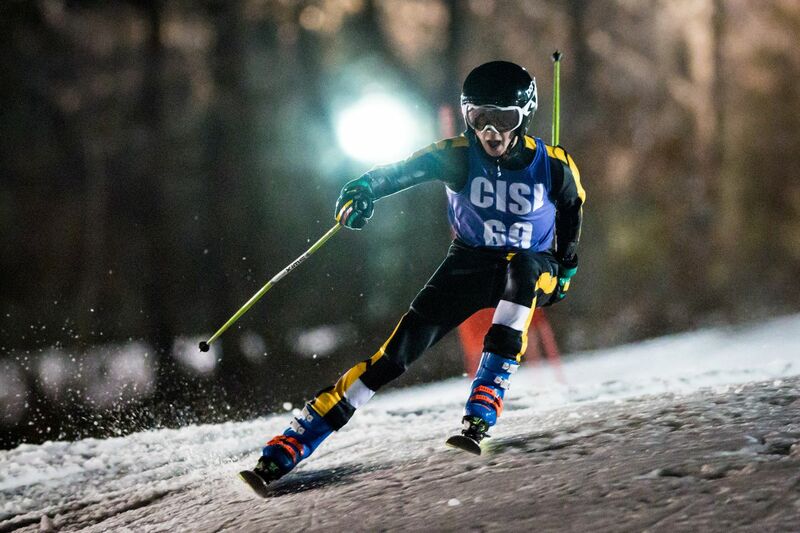 Brunswick’s Jose Riera took first place overall at a CISL race on Wednesday at Mount Southington, as the Bruins finished 1-1 in team competition. Two other Bruins finished in the top five in the 129-person event, as William Kallman was third and Ian Murray was fifth. Brunswick picked up a 4-1 non-league win at Delbarton on Tuesday, as Ryan St. Louis netted his first hat-trick as a Bruin. The road victory in New Jersey bumps Brunswick’s overall record to 9-6-4, as the Bruins now own a four-game winning streak. Brunswick topped visiting Hill by a 4-3 score on Monday in Hartong Rink. The game, rescheduled from Saturday, saw the Bruins twice hold two-goal leads in the third period over the Blues. Brunswick collected 209 team points to win the 44th Brunswick Invitational Tournament on Saturday. The Bruins bested second-place Northfield Mount Hermon, last year’s champion, by 35.5 points. Brunswick has won its own tournament 19 times dating back to 1976. Brunswick dropped a 49-41 road game at Storm King on Friday. Following the non-league setback, the Bruins (2-10) return to FAA action with a home game against Hamden Hall on Thursday, January 24. Brunswick picked up a trio of dual wins on Saturday at home, dispatching Hotchkiss (65-9), Taft (77-6) and Marvelwood (83-0). The 14-1 Bruins return to action on Saturday, January 19, hosting the 44th Brunswick Invitational Tournament. Brunswick trimmed visiting Hoosac by a 6-1 margin on Saturday at Hartong Rink. The six goals by the Bruins matches a season high, as five different Brunswick players scored in the game. Brunswick dropped a 64-52 decision to FAA foe St. Luke’s on Friday night in Dann Gym. The loss drops the Bruins to 2-9 overall and 1-6 in league play, while The Storm improves to 5-0 in FAA action and 7-5 on the season. Brunswick won a 14-13 decision over Greenwich H.S. in the Camuto Gym on Thursday. The season-opening, one-point victory came down to a decisive 5-4 win by Nicholas Moulle-Berteaux in a foil bout to secure the 14th team point for the Bruins (1-0). 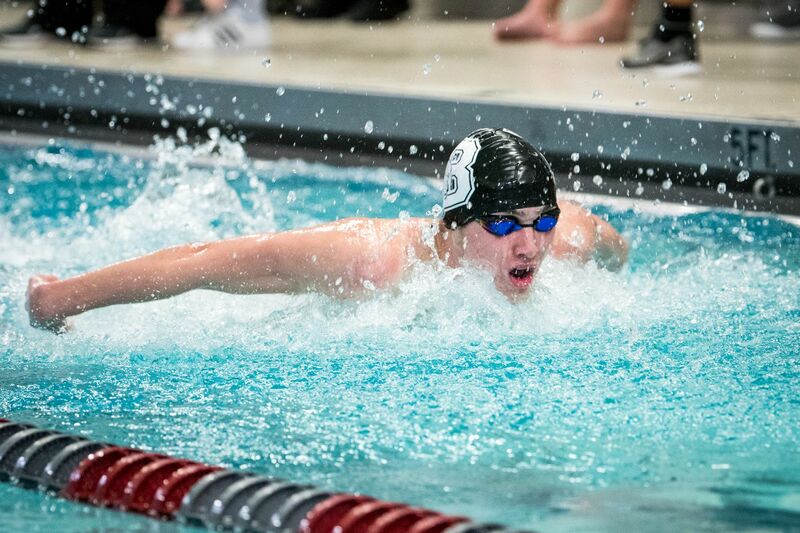 Brunswick won 10 of 11 swimming events on Wednesday at Hackley, as the Bruins improve to 5-0 on the season with the 87-60 win over the Hornets. At this point of the season, Brunswick has qualified 15 swimmers for the prestigious Eastern Interscholastic Swimming and Diving Championship, held in February at Franklin and Marshall College. Brunswick picked up 53-25 win on the mats against Suffield at Trinity-Pawling on Wednesday. The Bruins won nine individual matches, including three by pin-fall against the Tigers. Brunswick picked up a key road win at Millbrook on Wednesday, topping the Mustangs 4-2. Charles Shaffer picked up his second hat trick of the season for the Bruins, as the captain bookended the scoring in the game. Brunswick (6-6-4, 5-5-4) returns to action at home against Hoosac on Saturday, January 12. In a 49-49 game with over six minutes to play, RCDS outscored Brunswick by a 23-17 margin, as the Wildcats topped the Bruins 72-66 on Wednesday in Rye. Following the FAA loss, the Bruins are 2-8 overall and 1-5 in conference action. Brunswick skated to a 2-2 tie against Hotchkiss on Monday night at Hartong Rink. The Bruins have played six overtime contests and own a 1-1-4 mark in extra-session games. Brunswick returns to action at Millbrook on Wednesday, January 9. Brunswick travelled to Salisbury on Saturday and returned home with a pair of wins, besting the hosts, 65-12, and topping Trinity-Pawling, 47-20. The 10-1 Bruins host a trio of teams on Saturday, January 12, before the annual Brunswick Invitational on Saturday, January 19. Brunswick battled back from an early 3-0 hole at top-ranked Salisbury, but fell to the Crimson Knights by a 5-4 margin on the road on Friday. 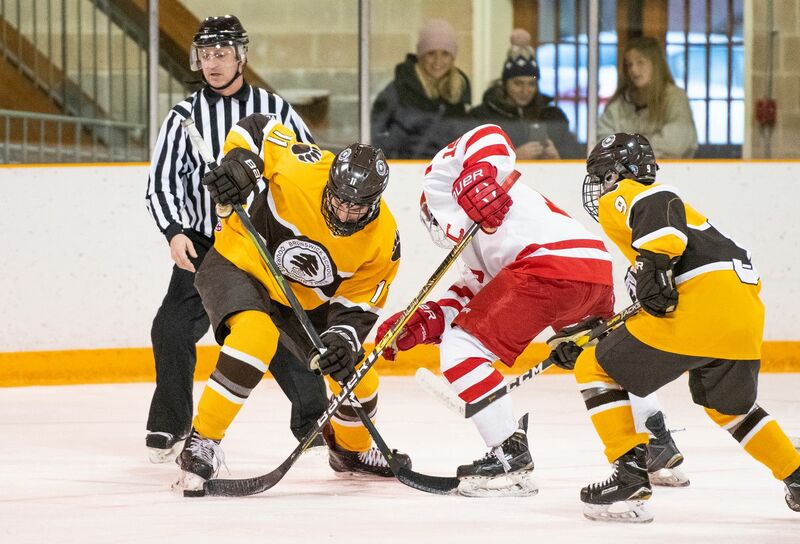 The Bruins return to action at home against Hotchkiss on Monday, January 7.